LIVE NOW! Season 2, Episode 1 of "The Isle." Watch HERE. 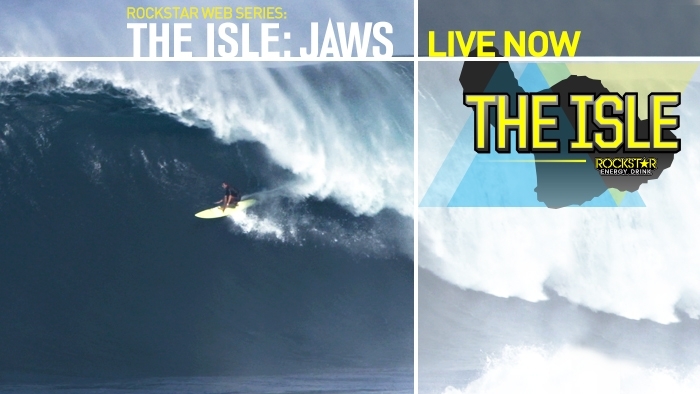 "The Isle" is a web series that follows the lives of Rockstar Energy surfers Matt Meola and Albee Layer. In this episode, we watch as Matt Meola, Albee Layer, John John Florence and the rest of their crew prepare for the end of the year swell at Jaws. When the swell finally arrives, things get serious - Matt Meola drops in on a wave that nearly takes his life leaving him completely rattled.